We take pride in building and designing our clients' homes to stand the test of time. Our custom remodeling and room addition projects are where we excel with visionary creativity to produce beautiful, livable spaces in your existing home. "We'll make your building dreams come true." Designs of Distinction is a custom construction company specializing in New Home Construction, Remodeling, Room Additions and Renovations. The company was founded in 1989 by the current owners, Jerry Edmonds and Lana O'Meara and is located in the Greenbrier section of Chesapeake, Virginia. Jerry holds contracting licenses in both Virginia and North Carolina. The company primarily serves the Hampton Roads area of Southeastern Virginia and Northeastern North Carolina. Whether it is Remodeling, Additions or New Home Construction, we build with your plans, ours or Jerry will custom design your dream home. Lana specializes in helping clients with color and material selection or pointing you in the right direction to venture on your own path. Let us help you make the most of your current home with Remodeling, Renovations, Room Addition or Lana can cosmetically change your home with her infamous Home Lifts. You won't believe the years she can take off with new carpet, fresh paint, kitchen countertops and appliances or furniture arrangement. 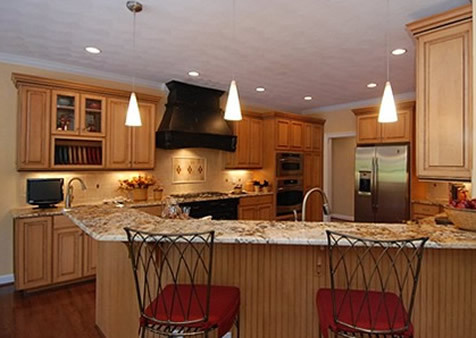 Jerry and Lana have the experience in New Home and Remodeling construction. With a husband and wife team approach, they specialize in the full spectrum of custom building and designing by working closely with their clients to determine their lifestyle needs. Jerry and Lana ensure a custom construction package from conception to move-in, focusing on critical details such as building design, quality construction, products and finish materials. Jerry is a Professional Building Designer certified by the American Institute of Building Design (AIBD) and previous owner of a building design firm. This skill allows Jerry to begin with blank paper to design that unique home for discerning Clients or modify existing plans to fit individual lifestyles. 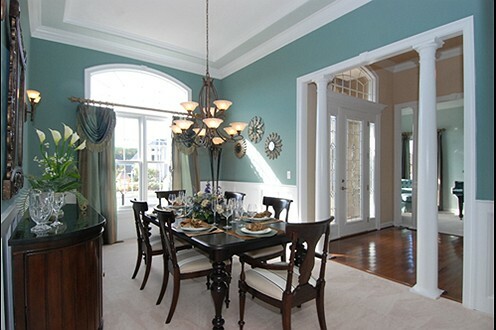 Lana specializes in color and material selections to ensure a coordinated home from start to finish, inside to outside. In 2001, Lana received a Homearama award for her interior design and decorating in their Heron's Watch model. In 2007, Mystic Manor in Edinburgh Meadows won Best Home Furnishings. Take the tour of Mystic Manor on the Current Communities page of this site where you will find more tours of our homes. You can see the evolution of Lana's work in the Photo Gallery Page progressing through the years to the Virtual Tours found on the Current Communities page. All homes in the tours and photo gallery were coordinated and decorated by Lana. Together, Jerry and Lana have created their own style of partnership building. Look for the Heron to see their work. Designs of Distinction proudly displays their signature Heron Weathervane atop many of their homes. Their entries in Home Show competitions have won multiple awards in the categories of Best Foyer, Best Family Room, Best Deck, Best Curb Appeal, Best Pool, Best Landscaping, Best In Show, Most Creative, Best Bath, Best Patio, Best Interior Merchandising and Best Home Furnishings. They have won Stanley and REX Remodeling Awards for their superior remodeling and room addition projects. Links to virtual home tours are found on the Current Communities Page of this site. For more information on services or construction, call 757-547-8196.